For a first timer, New York can seem a rather daunting. Fortunately our friends across the pond have developed the New York CityPASS, which gives you easy access to a handy selection of some of the Big Apple’s finest attractions. The pass comprises of three fixed and three option tickets, which come in the format of coupons, and are commonly used across New York. It can be purchased online, and collected from Times Square, which in itself ticks off one of the places you should see - if only for a short while, before you are totally overwhelmed by advertising hoardings and flocks of tourists. For our first day, we took up the opportunity of visiting the iconic Empire State Building. 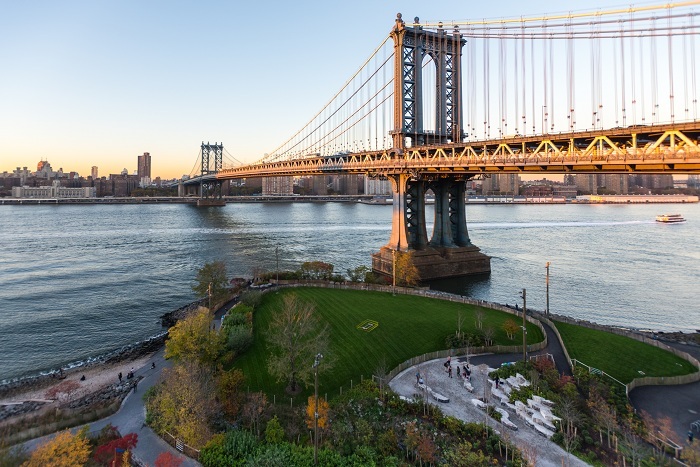 More than just a fantastic 360-degree Manhattan view, the admission includes a tour through a sustainability exhibition, giving an understanding of how the building has been created and then renovated since it’s completion in 1930. Visiting the Empire State building was a rewarding, good value experience, offering a city-wide perspective over Manhattan, down towards the Statue of Liberty and also the building’s incredible art deco design interior. We found using the Cities bike hire scheme was an inexpensive way to get between attractions. A nice ride down through lower Manhattan took us to the Statue of Liberty pier. From here the ferry took us on a short journey out to the monument, with its impressive view over the landscape of the city in the distance. We walked around the island, and took the ferry onto the Ellis Island of immigration, where we spent the afternoon exploring America’s rich history of immigration. The following day comprised of arts and culture. Heading back to Manhattan, we took a pleasant walk around Central park. The Metropolitan Museum of Art – also included in the CityPASS - is ideally located in the park and you can spend a considerable amount of time inside America’s largest gallery space. This was perfect for an indoor day; with an incredible range of exhibits and equities, including works from all the European masters and an extensive collection of modern art, there is plenty to see. Continuing with the artistic theme, we went onto the Frank Lloyd Wright’s masterpiece of modern architecture, the Guggenheim, which contains more specialist exhibits from the 20th and 21st centuries. It became apparent that New York has an incredibly rich collection of architectural examples, from many different periods. After the horrors of 9/11 if felt important to visit Ground Zero, where the once grand towers stood. The area still has a something of a sombre feeling, but it was important to contemplate, while visiting the memorial museum. The space allows you to take time and understand the recovery process for city. I would recommend visiting this site if you have the time to reflect. The American Museum of Natural History was our final fixed ticket for New York, and a positive way to round off the trip, learning about global biodiversity and natural history. The interactivity of the experience brought to life the diverse, wide range of exhibits, and is perfect for the whole family. The Hayden Planetarium Space Show Dark Universe was spectacular as was the giant-screen LeFrak Theatre, bringing the animals back to life. For a four-night stay in town, the New York CityPASS is the perfect companion, saving you time and money during your stay. Visitors to New York City can find it overwhelming, but not if they have CityPASS – the very best attractions hand-picked and wrapped up in an easy-to-use ticket booklet. Because CityPASS is valid for nine consecutive days starting with the first day of use, there’s no need to feel rushed – save time on your research, see the city that never sleeps at your own pace, and truly enjoy the experience. Find out more on the official website or head over to NYC & Company discover more about visiting the city. 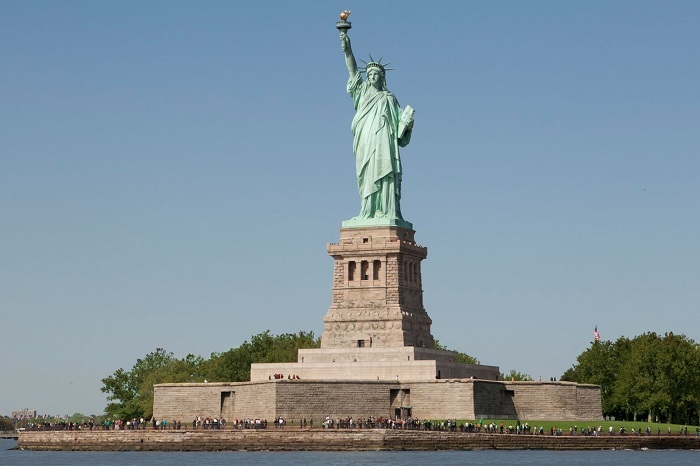 Breaking Travel News investigates: New York, the greatest city in the world?